Calista Leah Liew: Family of Fruits Farmer 果农之家 - Sweet Delights in Every Dish! 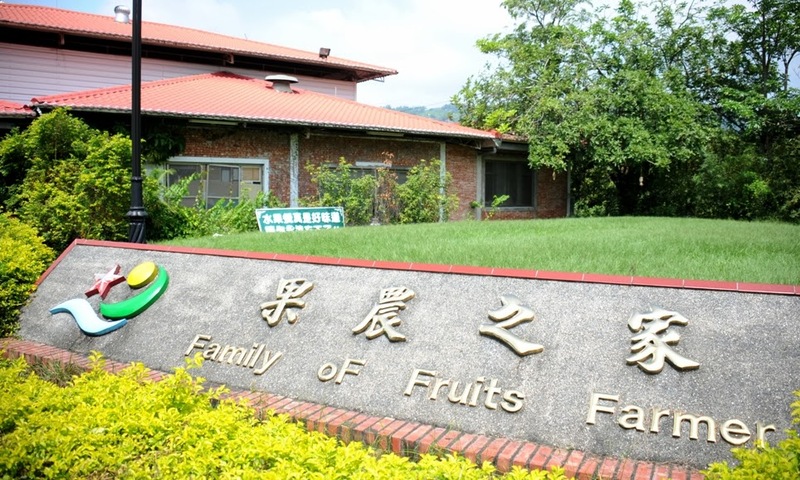 Family of Fruits Farmer 果农之家 - Sweet Delights in Every Dish! Happy new year guys! How's 2014 going so far? Have you made any resolutions this year? Had success with any of last year's resolutions? Drop me a comment - I'd love to know! 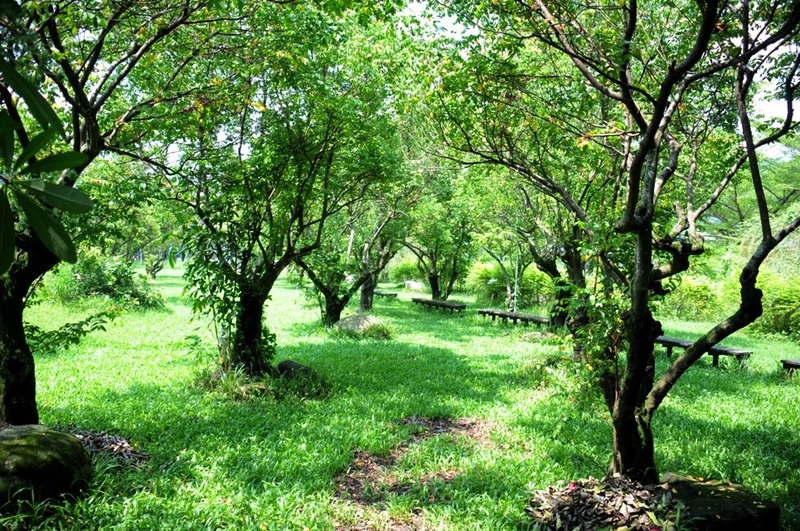 Continuing on with my Taiwan Leisure Farm adventures, the next stop on our list was a lunch stop. The Fruits Family Restaurant / Leisure Farm serves exactly that: fruit incorporated into every dish! Yep, every single one! 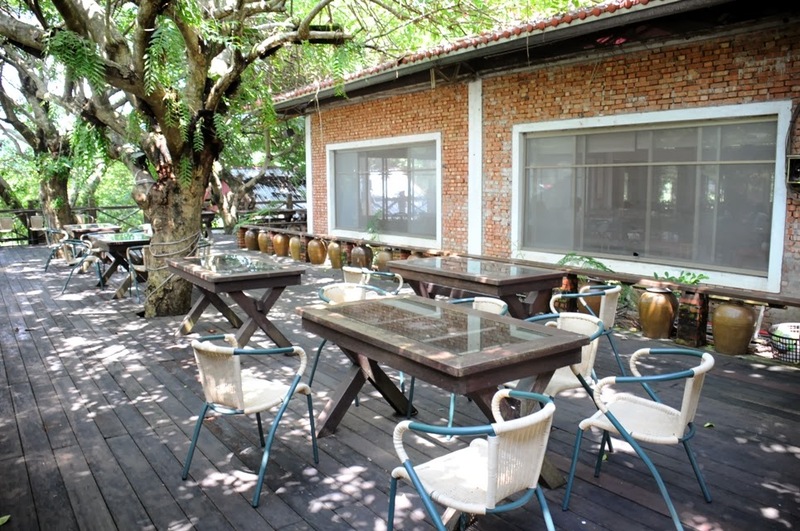 Part of the Tian Mama (田妈妈) group, you can be sure that all the fruits are organic, and picked fresh from their farm, located just behind the restaurant. 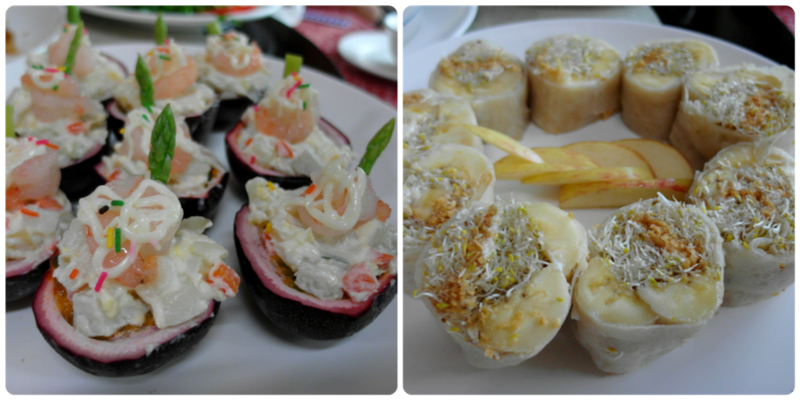 To be accepted as a Tian Mama certified restaurant, the food has to not only be delicious, but healthy as well! How's that for a stamp of approval? 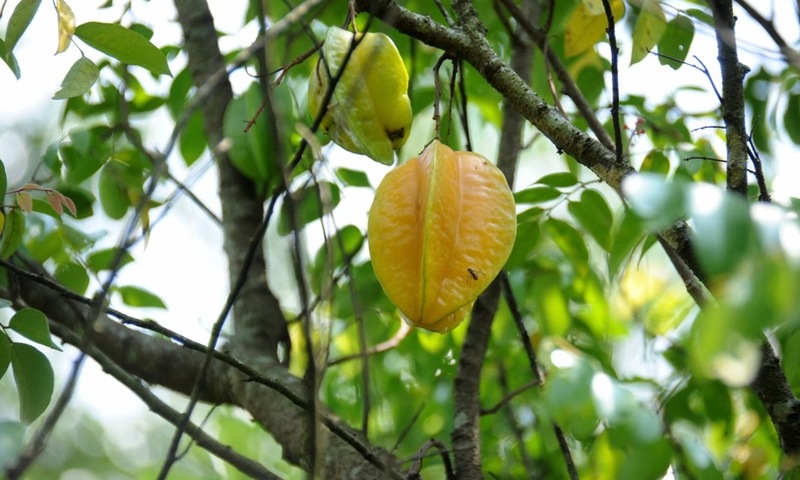 After taking a quick walk around the farm, the owner explained that visitors could come and pick as many fruits as they could eat straight off the trees, for a small price. Patrons are also welcome to relax on the farm after having their lunch. Unfortunately for us, September is the "transition" month, which means there were no fruits blossoming for us to pick. Shinny (our guide) told us that longan season had just passed, and orange season was in October. And the farm stretches on! As we walked into the restaurant, the sweet smells told us we wouldnt have to wait long to savour the delicious food Fruits Family had to offer. The dishes started coming out not a minute after we sat down! 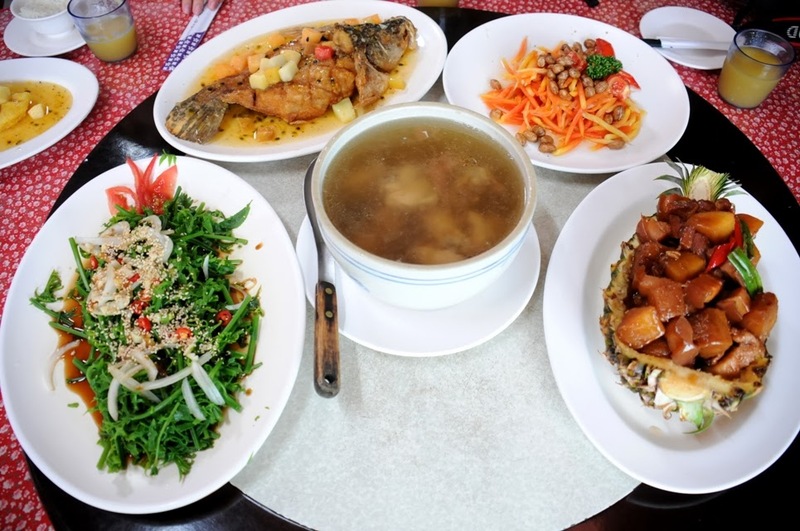 Clockwise from left: Stir-fried Wild Vegetables with Garlic & Onions 野菜料理; Passion Fruit Sweet & Sour Fish 时果金黄鱼; Papaya Peanut Salad 青木瓜丝; Pineapple Pork Belly 菠萝虎拳; Ginseng Chicken Soup 龙葵鸡汤. Verdict? All were deliciously yummy! My favourite was definitely the mango pork and banana popiah - just enough fruity taste to not overwhelm your "main meal" taste buds! Not bad for a balanced meal that tastes like heaven! 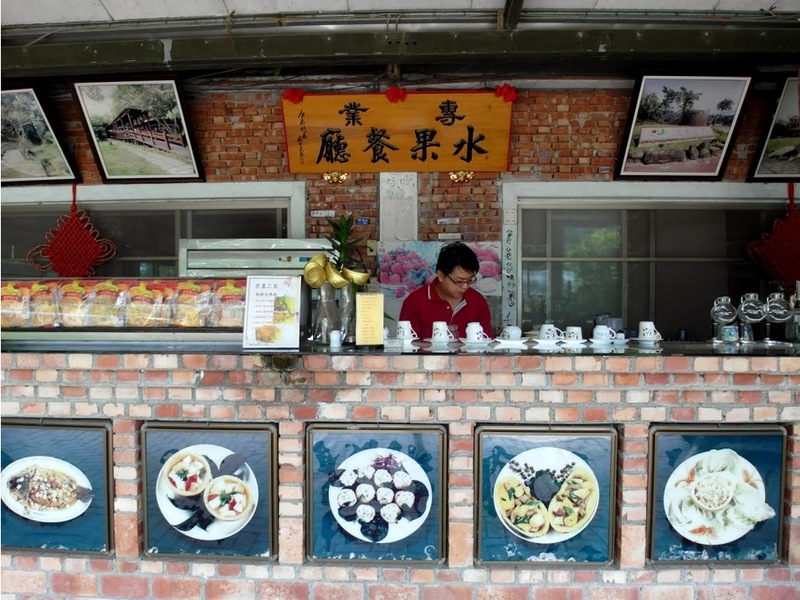 So next time you're in Taiwan, make a trip to Mijhih and complete your trip while bonding with family and friends over the variety of famed fresh Taiwanese fruits! Such an interesting name. Family of Fruit Farmers. LOL. Happy new year to you too, and I'm in the same boat when it comes to resolutions lol! Prawns with Durian are indeed intriguing!